Chicken Fat: Racists Running and Walking Shoes? I have been wearing New Balance walking and running shoes for at least 15 or 20 years. Why, because I'm old and they are more comfortable. Before then I wore Nike. I did not realize there was a political implication that went along with your footwear. 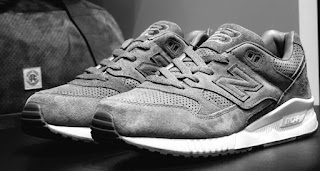 On Saturday, Anglin wrote that it was “time to get on-board with New Balance now” after Matt LeBretton, who is the vice president of affairs at New Balance, voiced his support for Donald Trump. Then, on Monday, New Balance released a statement saying it “does not tolerate bigotry or hate in any form.” "
By the way, New Balance is one of the few, if not the only one, shoe companies that make their shoes totally in the U.S.